Are you ready for cuteness overload? 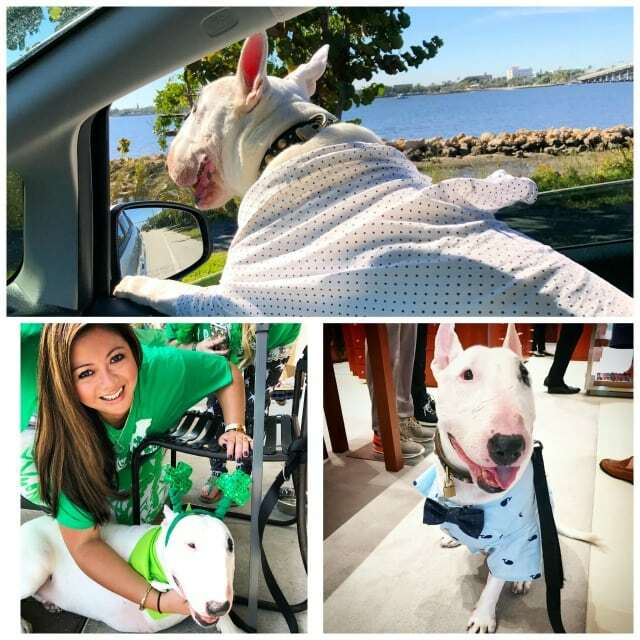 Well grab your hankie for today’s Tripawd Tuesday superstar! You’ll cry and smile and most importantly celebrate the remarkable Kokomo, a two year osteosarcoma survivor and rescue dog warrior! Here’s his beautiful story as told by his mamma Carla. Let’s celebrate Koko’s cancer victory! Two years ago, our world was turned upside down… Kokomo, who had been limping for a couple of weeks, was just diagnosed with osteosarcoma (bone cancer). We were devastated to say the least, in shock and disbelief that this could be happening to our sweet boy who we had just rescued 1.5 years before. After days of hazy tears and numbness, I dealt with it the best way I knew how – by doing all the research I could about this disease and learning what our options were. I had never met a tripawd before (three-legged dog)… I didn’t know how they would cope. I found the Tripawds website and started looking at a lot of videos online, and reading many stories similar to ours. 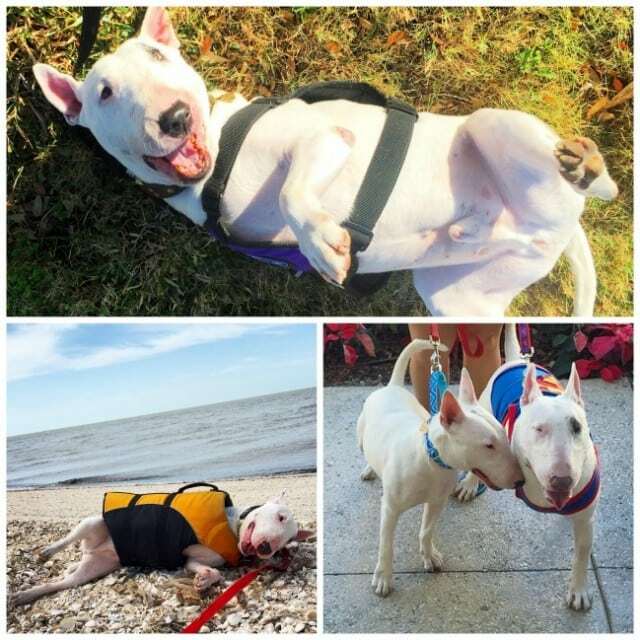 We learn so much from Tripawd heroes! I devoured the book “The Dog Cancer Survival Guide” by Dr. Demian Dressler. Tentative relief came – we were not alone. There was incredible information and support online. We wrapped our heads around the amputation… our deaf boy would soon be a tripawd. Reading the statistics, there was no question in our minds it is what we would do… life expectancy without treatment (amputation and chemotherapy) was only 6 months at most, and the dog would be suffering in severe pain. With amputation and chemotherapy, we were looking at an average of 12 months… bought time. Only 25% were alive 2 years after amputation and chemo, and 20% after 3 years. We had no idea how much time we had with Kokomo, but we were determined to do it all. Next came figuring out who would do his surgery and chemo… who could we trust with our precious dog’s life??? We had been referred to Coral Springs Animal Hospital, but I was traumatized by my experience there with Kaya. I asked around and did my research, and found Animal Cancer Care Clinic based in Fort Lauderdale. We went for a consult, and immediately felt reassured by the warmth and caring of the staff and vets, especially Dr. Weinstein the surgeon, and Dr. Correa the oncologist. His surgery was scheduled right away, and on this day, 2 years ago, Kokomo lost his right front leg, and the nasty cancer in it. Kokomo is a cancer fighter and friend to all. The weeks following the surgery were challenging and draining to say the least. He needed to be on strict bed-rest/crate restriction to prevent post-operative complications like suture dehiscence and seroma/hematoma formation. It broke my heart to see him in the crate in pain, dazed and confused, so I chose to let him lay and sleep on the bed. His wound was oozing and draining, and I had to lay many towels down so it wouldn’t get on the bed and sheets. My days were spent cleaning and dressing his surgical incision, putting warm compresses on it, helping him walk, lifting him up and down the bed, feeding him, giving him round the clock pain meds, cooking his food, and doing loads and loads of laundry. Kokomo, who had always been a daddy’s boy, was glued to my side during his recovery. He refused to eat unless I hand fed him, and he would only rest and sleep if I was right next to him. I worried when he was so constipated from the pain meds and didn’t poop for a week. My heart broke when he started having phantom limb pain and would wake up suddenly from sleep with a jolt and panic, as if electric shocks were coursing through his little body. I stopped counting all the teardrops shed, they would have filled an ocean. Slowly, slowly, he healed and got better. After 2 weeks, we went back to have his sutures removed, and to start IV chemotherapy (Carboplatin). He would undergo 6 treatments spaced 3 weeks apart each time… and after that, we opted to do an additional 6 months of oral chemotherapy (Palladia). Thankfully, Kokomo tolerated chemo very well. He was a little more tired and would have occasional diarrhea, but his cell count remained good, and he had no vomiting. 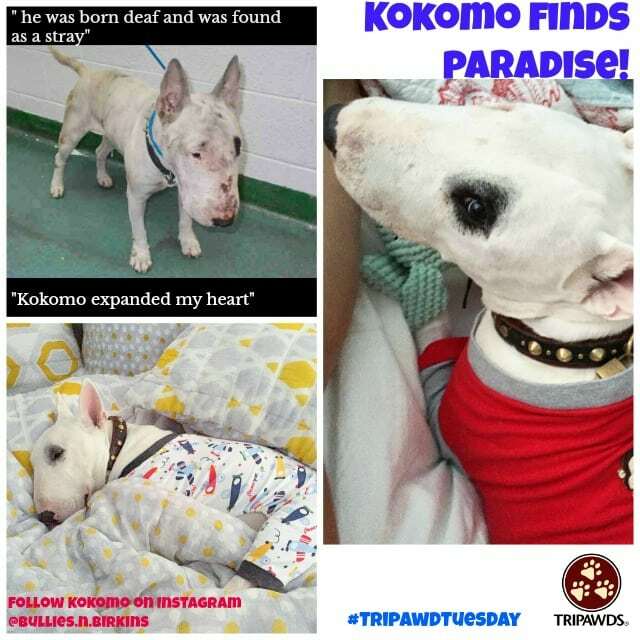 The ocean air and mamma’s love keeps Kokomo strong! The entire time, he remained so strong, a true warrior. I marveled at how well he adapted to being a Tripawd, and how happy and carefree he still was. When he would roll around the grass on his back, my eyes would fill with tears of joy and laughter… this was what life was about, treasuring every single moment. My boy and his cancer had taught me very important life lessons… to live in the moment, to live everyday like your last, to love with abandon and to cherish life itself. I was still scared… I had no idea how much time I would have with him, I still don’t. Tomorrow is never promised. If you asked me 2 years ago if I could have imagined that this is where we would be now, I would not have dared to hope it… 25% alive in 2 years… and here we are, so so lucky to be part of that 25%. I don’t know what tomorrow will bring… but I do know that for today, I will love him with every atom of my body, with every fiber of my being. I will push my nose into his scruff and inhale deeply… I will stroke his fur… I will cuddle and hold him tight… I will let him lick me with his stinky breath… I will let him roll around on the grass even after a bath… I will let him ride in the car with the windows rolled down… I will let him be a stubborn bullie and refuse to walk. I will feed him the best food I can, I will continue to bring him to his vets regularly, I will continue to give him all his medicine, I will continue to clean his ears, cut his nails, brush his teeth and give him a bath. I won’t mind the torn sheets, the ripped up toys, the muddy and sandy paws, the dirty stains, the saliva, the vomit and diarrhea, the dog hair everywhere, the stinky breath, the “dog smell” in my house, the spilled water and dog food and dog treat crumbs on the floor. I will continue to buy him cute shirts and bring him with me everywhere I can…… because I do not know how long we will have. Until then, I want to cherish every single moment, because they are all gifts… HE is a gift. 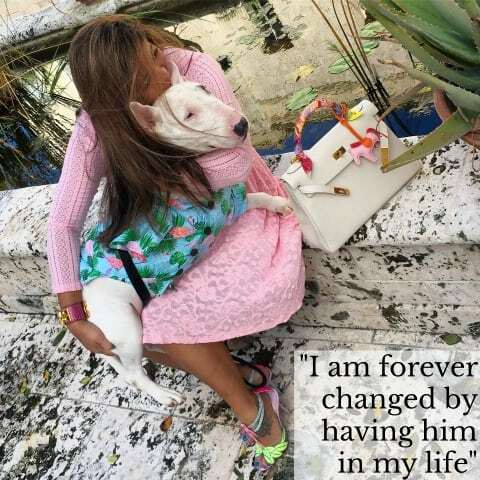 I am forever changed by having him in my life… Kaya my heart dog and first bull terrier brought me to bull terrier rescue… Kokomo expanded my heart more specifically for dogs with disability and cancer. THANK YOU GOD for this day, for every single day and every single moment, and most of all THANK YOU for my precious boy. Happy 2 year Ampuversary dear Kokomo… with God’s grace, we will have many more. Thank you for sharing your beautiful story it brings me great joy to hear your precious boy is still by your side. I am currently going through your exact ordeal with osteosarcoma and it is one of the most emotionaly heartbraking things ive ever faced but stories like this give me the greatest hope. Happy two year Ampuversary Kokomo!!! Very inspiring story of two loving beings. Kokomo, I’m so happy you found someone willing to open her heart to you. I know you give back just as much. You warm my heart and have made my day! Congratulations on your 2 year anniversary, I hope you have many more happy years together. What a beautiful tribute to an incredible boy!! We are so happy for you!! PS. You have two Guardian Angels who were previously owned your humans to help watch over you!! They are doing a magnificent job! This is so beautifully written and so heartfelt! We thank you soooo much for taking the time to share this amazing KOKOMO with us!!! KOKOMO is a BEACON OF HOPE for anyone starting this journey!! We MUST have VICTORIES like KOKOMO to give everyone HOPE!!!!!! 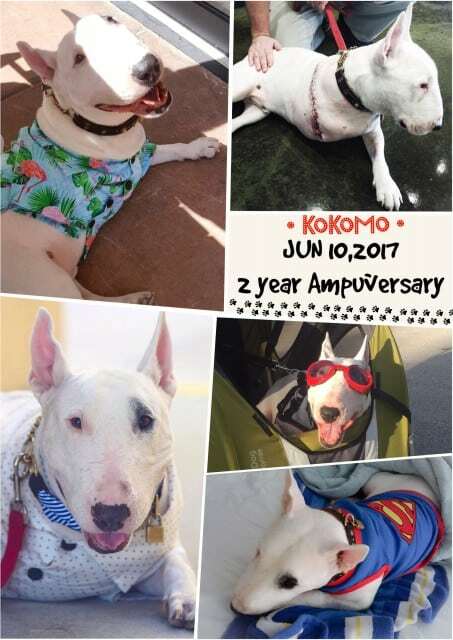 HAPPY TWO YEAR AMPUVERSARY KOKOMO!!! 🙂 🙂 🙂 You deserve every ou ce of loviw and spoiling you are getting….and clearly you are getting plenty of that!! Keep these VICTORIES coming sweet boy!! We salute you! !